Another recipe I’ve wanted to try for a long time is a baked brie. With our friend popping over at the weekend for a Christmas get-together it was an ideal time to try this out! Simply unfurl the pastry onto a floured surface and roll out slightly – you want to be able to encase your brie wheel. 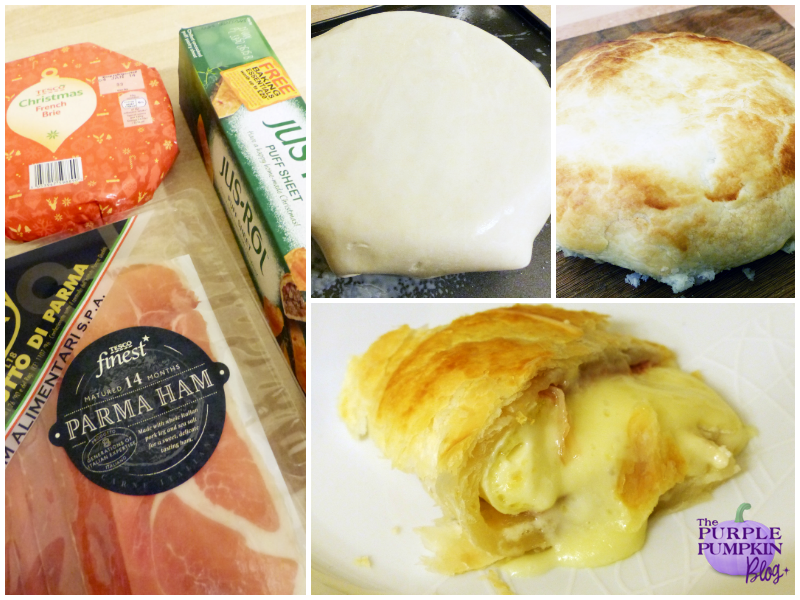 Place slices of prosciutto down in the middle of the pastry, you can use as much or as little as you wish. Don’t go all the way to the edges – stay in the centre of the pastry. (I forgot to take a photograph of this stage as I literally put this together 10 minutes before our guest showed up!) Place the brie on top of the prosciutto and put some more of the ham on top of the cheese. 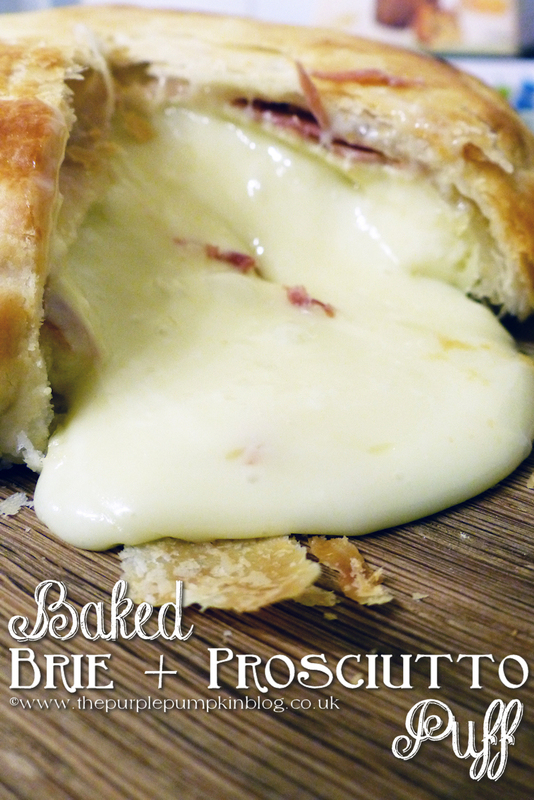 Bring the pastry up to cover over the brie/prosciutto combo, ‘glueing’ the pastry to itself with a dab of water. Turn up the other way and place on a greased baking tray. Brush with some milk and place in a hot oven (around 200C/Gas 6) for 10 – 20 minutes until the pastry is puffed and golden. Remove from the oven and place on a serving board – cut and enjoy the melted cheesy ham goodness! And be careful, the cheese oozes everywhere!! Perfect! This post is part of Cook, Craft, Create: December 2013, why not check out the other ideas this season? oh my gosh, it really was! Such a delicious treat! Oh my god…this looks so naughty! Going to have to give it a go, thank you!